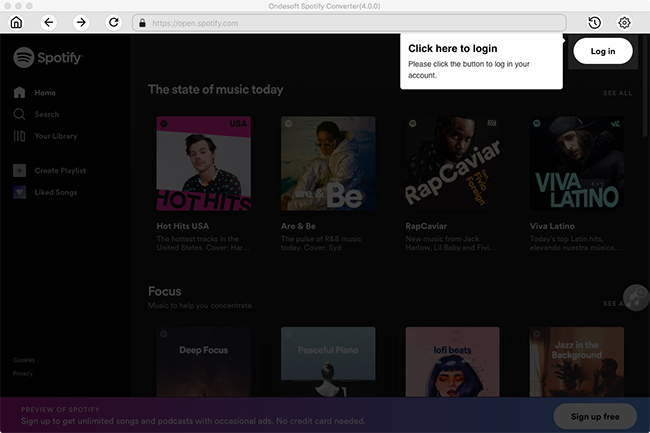 So maybe Spotify has become a regular part of your daily lives, but for free users, it’s still not possible to download the songs for offline playback. In this case, you may want to rip your favorite songs to mp3 and play them anywhere and anytime without internet connection. You need a Spotify ripper. The good thing about a Spotify ripper is that it doesn’t require Spotify premium subscription. Both Spotify free and premium users can use it to rip any Spotify song to mp3. Many people ask how to rip Spotify music to mp3 so they can enjoy the songs on any mp3 player. We will introduce you several Spotify rippers. 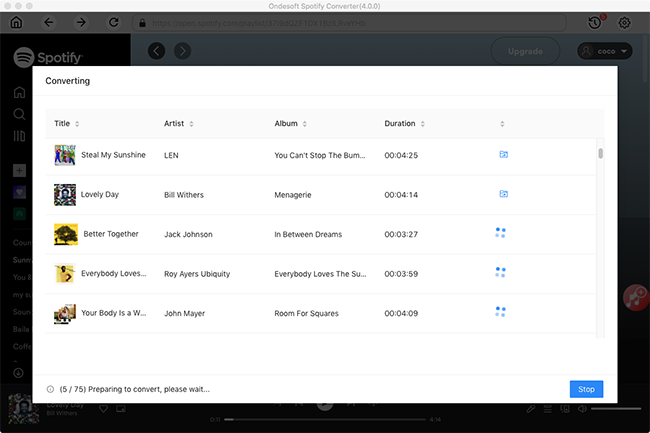 If you want to preserve Spotify songs and enjoy them anywhere at any time, try any of our top picks for the best Spotify ripper software. 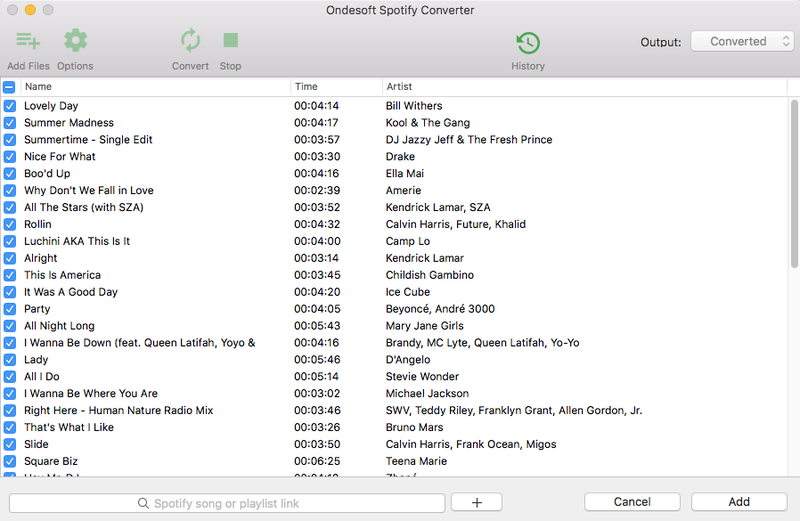 Ondesoft Spotify Converter is a professional Spotify ripper for both Mac and Windows users. This Spotify ripper can extract songs from Spotify to MP3, M4A, WAV and FLAC formats. It rips Spotify songs with 100% original quality and all ID3 tags. 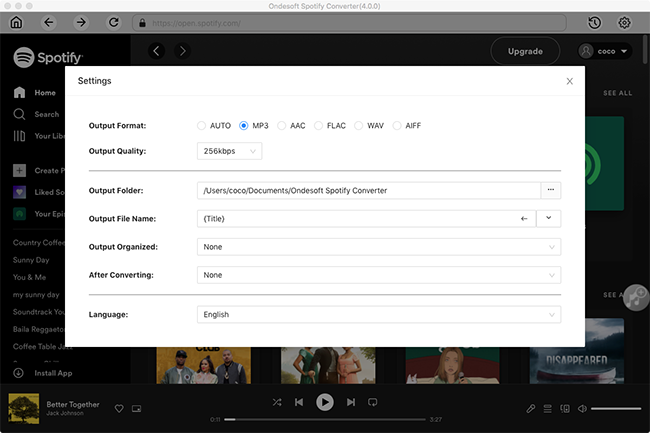 Drag&drop songs, albums or playlists you want to rip to mp3 from Spotify app to the interface, and then click the convert button. The simple and user-friendly interface makes it easy to use for even newbies. 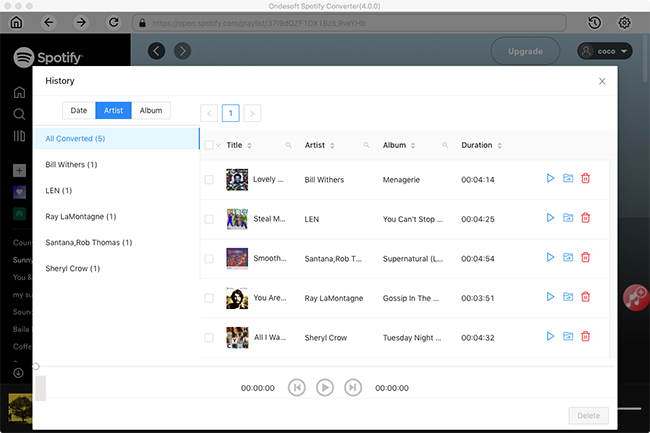 iMusic is an all-in-one music manager and downloader for you to easily manage, record and download music. It can be used to rip Spotify music to MP3, M4A, WebM, OGG, etc. A good thing about this tool is it has a record feature, so you can rip any part of a song. This is very useful to make ringtones. 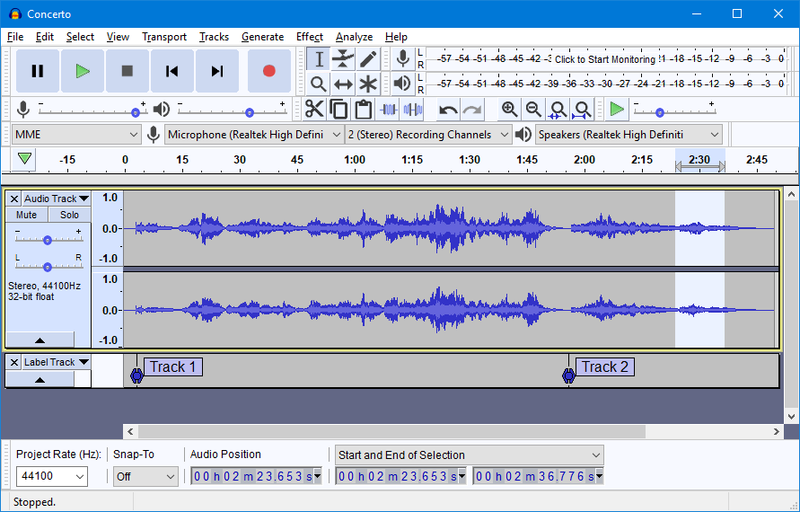 Audacity is an easy-to-use, multi-track audio editor and recorder for Windows, Mac OS X, GNU/Linux and other operating systems. The interface seems a bit complicated for beginners. You can check this tutorial. 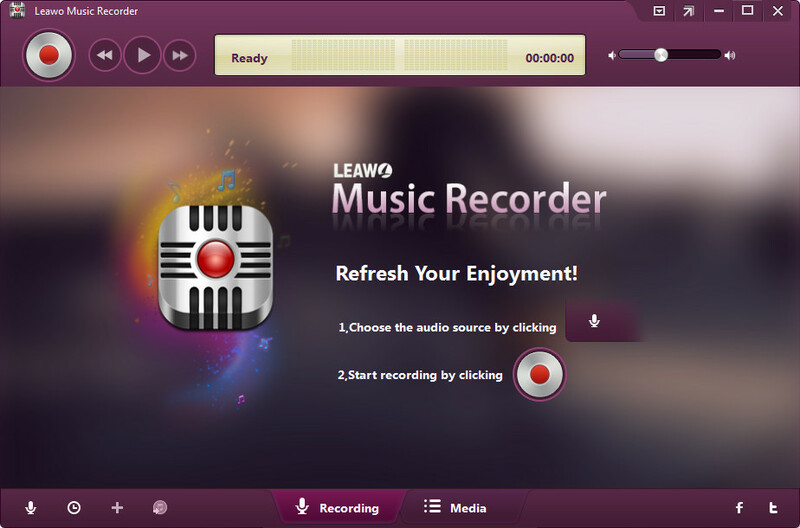 Leawo Music Recorder is a powerful music recorder that records music/audio from any source with 100% original quality retained. It's a easy-to-use music recording software program that lets you record free music from any built-in input audio, computer audio and online music sources, like YouTube, Spotify, AOL Music, Last.fm, etc. and then save in MP3 or WAV format with lossless quality. 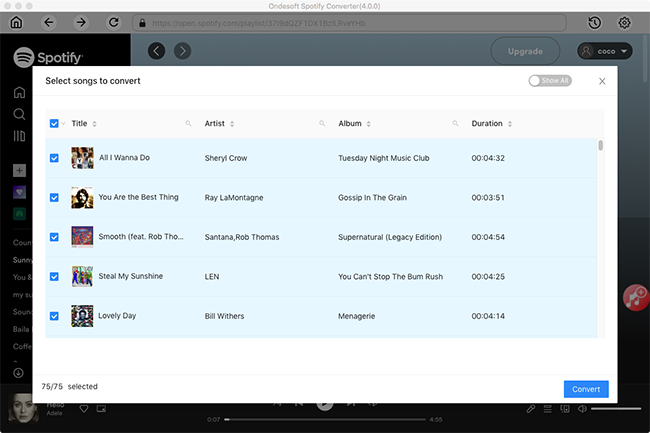 Play the Spotify songs you want to rip and Leawo Music Recorder will record them to mp3 files. The Mac version only works on Mac OS X 10.6-10.10. The Windows version support Windows XP/Vista/7/8/8.1/10. How to rip Spotify to MP3 with Ondesoft Spotify Converter?